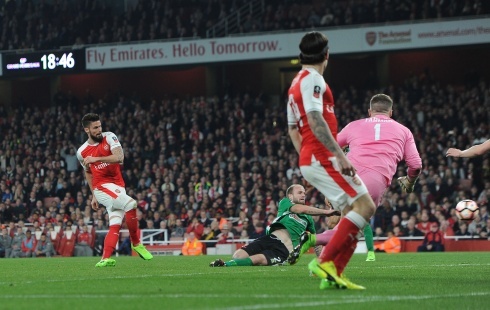 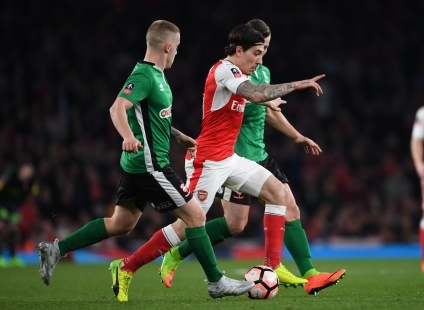 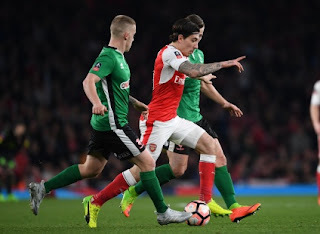 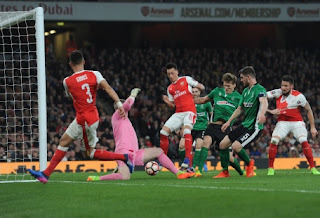 Arsenal progressed to the semi-finals of the Emirates FA Cup with a 5-0 triumph over national league side Lincoln City on Saturday. This was the right response to give following consecutive defeats against Liverpool and Bayern Munich who trashed them 3-1 and 5-1 respectively. 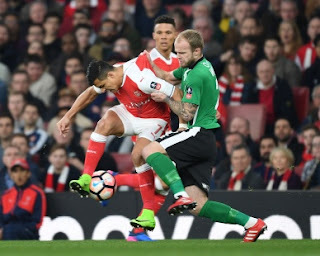 The visitors held on with their momentum in the first half where they just conceded one but were unable to avert the goal plague that hit them in the last 45 minutes. 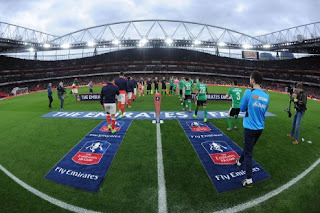 Arsenal will now discover their opponent for the penultimate round as they prepare to head to Wembley later in April. 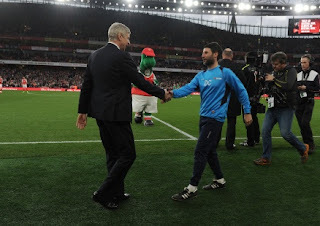 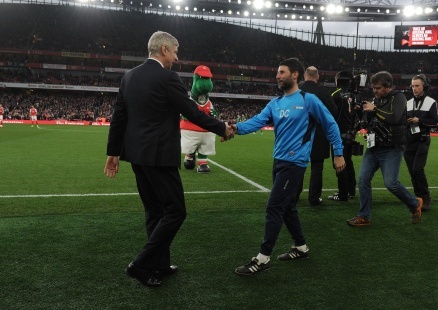 Here are some pictures from the encounter, courtesy the club's official website.